Michael Matheson has taken over the transport brief in the Scottish Government in a new cabinet-level post. He replaces Humza Yousaf, who was minister for transport and the islands but has been promoted into Mr Matheson’s old post of justice secretary. 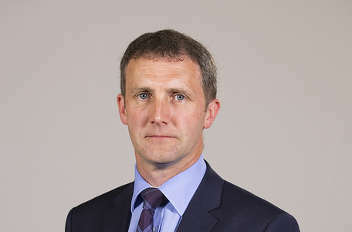 Mr Matheson (pictured) has become cabinet secretary for transport, infrastructure and connectivity, one of five new cabinet secretary roles. The Scottish Government said the increase was to ‘reflect the increasing impact of Brexit on Scottish Government business, and ensure direct Cabinet oversight of the operational delivery of a new social security system’. Derek Mackay, another former transport minister, has become cabinet secretary for finance, economy and fair work, replacing Keith Brown, who has left the Government. Aileen Campbell has become cabinet secretary for communities and local government and will lead work to tackle poverty and inequality and, ‘in partnership with councils’, take forward plans to reform local governance. First minister Nicola Sturgeon said: ‘The new cabinet brings fresh talent to the Scottish Government and ensures that we are fully equipped to meet the challenges and opportunities facing the country in the months and years ahead. Mr Matheson will be supported by a new minister for energy, connectivity and the islands, who will be tasked with delivering 100% superfast broadband across Scotland. Junior ministers are due to be announced on Wednesday (27 June).